Scope change is inevitable on a project. This can be caused by new discoveries during the project, external circumstances or internal changes in the business. It can be disruptive and if not handled properly, it can doom your project. No matter how well defined your project is at the beginning, you don’t know what you don’t know. And things are going to crop up during the process that will require scope changes to occur. Your job as the project manager is to make sure you manage them properly so it doesn’t take your project down the black hole of despair. Your best line of defense is to make sure you have the scope as clearly defined as possible at the outset of the project. That means you’ll define what is and what isn’t included. Sometimes people forget “what isn’t” and that’s a big mistake. Once that’s completed, you can decide how you will deal with the change. Here are three options for you to consider. Many times a change requires a shift in direction. Take a look at the current deliverables one by one to determine whether they’re still necessary. Take stock of the budget, schedule and resources that were allocated to those deliverables that are no longer applicable to the project’s change in direction. Then take a close look at the change requested along with its required budget, schedule and resources. Can you make a one for one change? Sometimes changes will creep up on you. Often the sponsor will allow small changes that fit a specific criteria to be made without prior approval required. That can make your job easier because you can just implement the change and keep moving towards completion. But you have to be careful. A bunch of tiny changes can make a real impact on your overall project success. If you’re going to accept responsibility for making those changes, make sure you look at the impact to the big picture and be disciplined about integrating them into your project plan. You may just have to put the brakes on these types of changes, take a step back and just say no. Offer to package the changes into an add on project. This can be a creative way to get some follow on work after the current project is complete. All changes to your project should be documented using an agreed upon Change Control Process that was established at the beginning of your project. Your change control should include a decision-making process that helps the key stakeholders make an informed decision about the change. 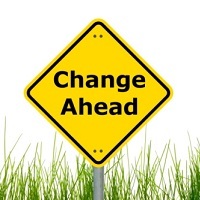 You may want to consider establishing a formal Change Control Board (CCB) – a group of key stakeholders who have responsibility for considering and approving / disapproving every requested project change. Realize though, that a CCB can cause delays in your project timeline so make sure you establish rules and criteria for their responsibility in the process. Any changes to your project should, of course, become part of your project history. It can be tempting to “document this stuff later,” but later never comes. Stay on top of any changes to your project. Change doesn’t have to force your project into failure. Making sure you manage changes properly can help you avoid that outcome. How do you deal with scope changes on your projects? I’d love for you to share your ideas below.